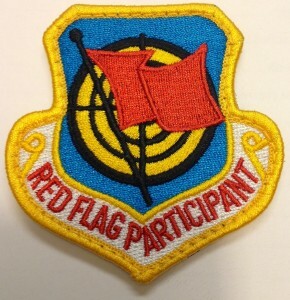 Red Flag exercise is held 4 times a year in Nellis AFB. This is the 3rd Exercise and this particular one did not involve International Participants. – 53rd Wing, 422nd Test and Evaluation Squadron, F-15Cs, Nellis AFB, Nev.
– 159th Fighter Wing, 122nd Fighter Squadron, F-15Cs, New Orleans, La. – 325th Fighter Wing, 95th Fighter Squadron, F-22As, Tyndall AFB, Fla.
– 20th Fighter Wing, 55th Fighter Squadron, F-16CMs, Shaw AFB, S.C.
– 55th Wing, 43rd Electronic Combat Squadron, EC-130Hs, Davis-Monthan AFB, Ariz.
– 5th Bomber Wing, 69th Bomber Squadron, B-52H, Minot AFB, N.D.
– 552nd Air Combat Wing, 960th Airborne Air Control Squadron, E-3A, Tinker AFB, Okla.
– 22nd Air Refueling Wing, 344th Air Refueling Squadron, KC-135, McConnell AFB, Kan.
– 55th Wing, 38th Reconnaissance Squadron, RC-135V/Ws, Offutt AFB, Neb. – 57th Wing, 64th Aggressors, F-16C, Nellis AFB, Nev.
– 57th Wing, 64th Aggressors, F-15C, Nellis AFB, Nev.
– 116th Air Control Wing, 16th Airborne Command and Control Squadron, E-8s, Robins AFB, Ga.
– 2nd Marine Aircraft Wing, Marine Fighter Attack Squadron 115, F/A-18s, Marine Corps Air Station Beaufort, S.C.
-2nd Marine Aircraft Wing, Marine Tactical Electronic Warfare Squadron 4, EA-6Bs, Marine Corps Air Station Cherry Point, N.C.
– Commander, Electronic Attack Wing, Electronic Attack Squadron 138, EA- 18Gs, Naval Air Station Whidbey Island, Wash.
We are fortunate to also see Green Flag 15-8.5 held at the same time. Moody AFB A-10C from 23rd Fighter Group ( Flying Tigers) was in base conducting Air to Ground and CAS mission. 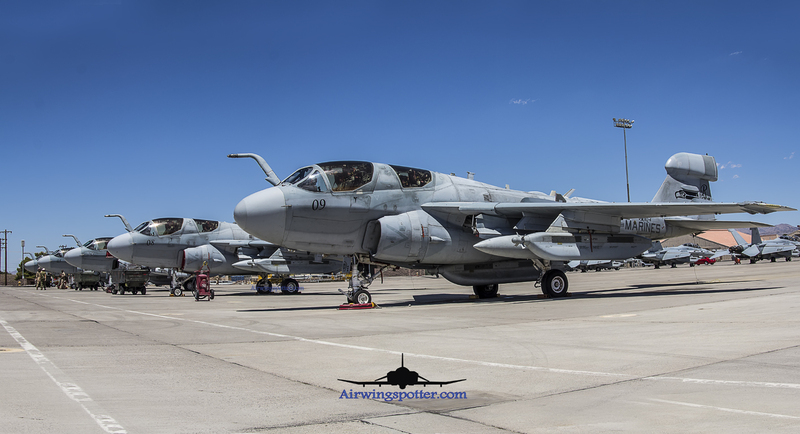 We will be covering a more detail report the few days of activities held in Nellis which we were privileged to have been able to participate. This include access to the Media day and End of Runway ( EOR) conducted by 99th Air Base Wing Public Affairs Office.